Click on the image/icon to see the website of the organisation concerned. Seaprobe Atlantis, Kyle of Lochalsh based glass-bottom boat, offers an experience no other boat can match. Enjoy all the scenery and wildlife above and below the waves as you cruise in complete safety with the best wildlife guides in Lochalsh. The City in the Highlands where you'll find the warmest of welcomes - whether you choose to visit, explore, shop, relax or just live Inverness. It's in our nature to be friendly and helpful, and we enjoy the craic - Gaelic for chat and light-hearted conversation. This website gives you all the information you need. The Railway Touring Company has a long established reputation for providing an interesting variety of UK Day Trips by Steam Train and tours in the UK, Europe and Worldwide. If you are a tour operator or other organisation and would like to use an image of the Kyle Line in your promotional literature, then please click on one of the links below. We request that you mention this website somewhere within the literature (www.kylerailway.co.uk). Strathcarron Station on the Kyle Line in winter morning sunshine. 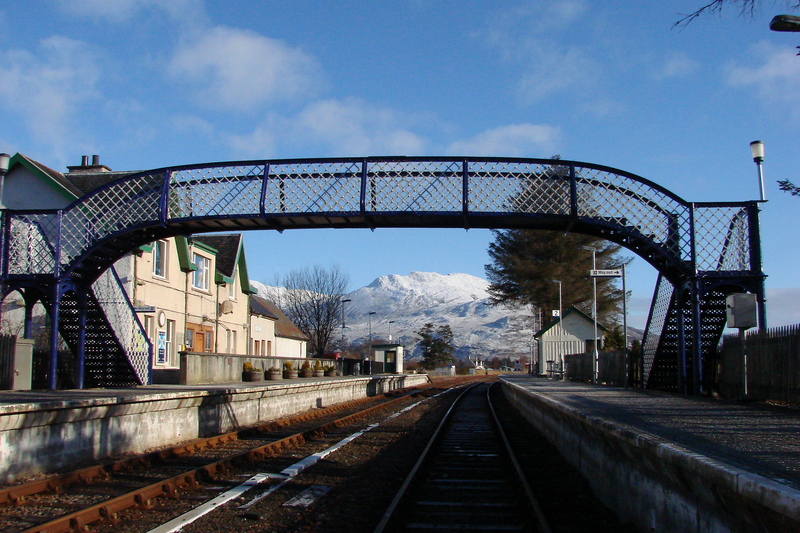 The pedestrian bridge at Strathcarron Station on the Kyle Line in winter morning sunshine. Kevin Alexander Services. Websites, photography (designer of this website and photographer of many of the images herein), handyman, internals builder and decorator (such as in www.duncraigsquare.co.uk), and picture framing.